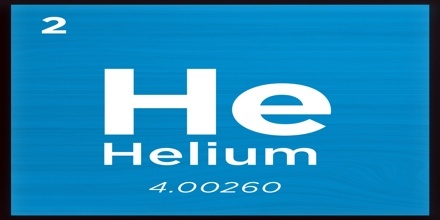 Helium is a very lightweight, colorless, odorless element in the noble gas group. 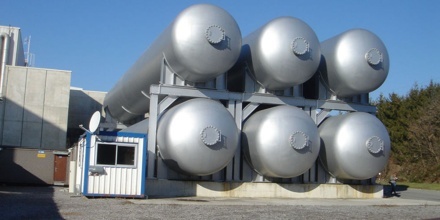 It is used as a component of artificial atmospheres and laser media, as a refrigerant, as a lifting gas for balloons, and as a superfluid in cryogenic research. Atomic number 2; atomic weight 4.0026; boiling point −268.9°C; density at 0°C 0.1785 gram per liter. Helium is named for the Greek god of the Sun, Helios. It was first detected as an unknown yellow spectral line signature in sunlight during a solar eclipse in 1868 by Georges Rayet, Captain C. T. Haig, Norman R. Pogson, and Lieutenant John Herschel, and was subsequently confirmed by French astronomer Jules Janssen. Helium occurs in natural gas, in radioactive ores, and in small amounts in the atmosphere. It has the lowest boiling point of any substance and is the second most abundant element in the universe. Its abundance is similar to this figure in the Sun and in Jupiter. This is due to the very high nuclear binding energy (per nucleon) of helium-4 with respect to the next three elements after helium. Each helium atom always has two protons; helium’s atomic number is two. Elements are organized on the periodic table of elements based on their atomic number. This puts helium at the far right corner of the periodic table, second after hydrogen. Each element is also given a symbol, a letter or letters that each element is known by. The symbol for helium is He. Helium (symbol He) is a colorless, odorless, nonmetallic gas that is produced abundantly by the nuclear fusion in all stars and is found in smaller amounts on Earth. The Physical and Chemical Properties are the characteristics of a substance, like Helium, which distinguishes it from any other substance. 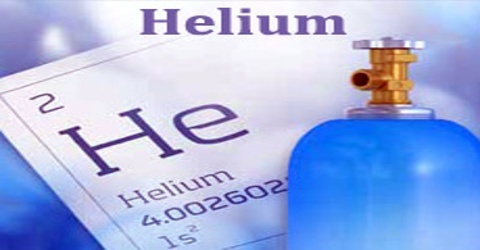 The Physical properties of Helium are the characteristics that can be observed without changing the substance into another substance. Physical properties are usually those that can be observed using our senses such as color, luster, freezing point, boiling point, melting point, density, hardness and odor. Chemical properties are only observable during a chemical reaction. Reactions to substances may be brought about by changes brought about by burning, rusting, heating, exploding, tarnishing etc. Elements are grouped with other elements based on similar properties, or traits. Helium is in a column with other gases that have no color and no odor, the noble gases, which also include neon and argon. It is lighter than air, so it can make things like balloons float. In fact, helium is the second lightest element after hydrogen. Helium is actually used for many purposes that require some of its unique properties, such as its low boiling point, low density, low solubility, high thermal conductivity, or inertness. It can be used for breathing observation. It is essential in treating ailments asthma, emphysema and other conditions that affect breathing. The gas is usually used to treat diseases that affect the lungs. 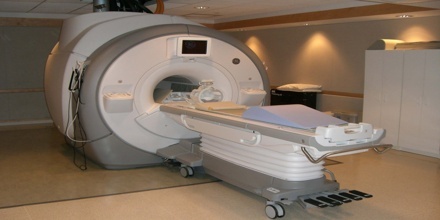 Hospital MRI scans relies on liquefied helium. When the element is set at -269 C (the low boiling point), it becomes usable in MRI magnet cooling down. The gas (Helium) is also used as light weight aircraft fuel. 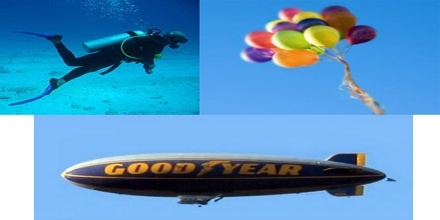 The element is usually combined with hydrogen in air balloons. Hydrogen alone is fine, but helium makes the balloon safer to use. The same gas is used by caisson workers too. Divers use oxygen and helium during their dives. The combination provides them with the atmosphere necessary to survive in high pressure environments. It is used as a protective gas in growing silicon and germanium crystals, in titanium and zirconium production, and in gas chromatography, because it is inert. Because of its inertness, thermally and calorically perfect nature, high speed of sound, and high value of the heat capacity ratio, it is also useful in supersonic wind tunnels and impulse facilities. Hydrogen and oxygen are often used as rocket fuel. Helium-neon lasers also use the element extensively. These instruments are used for barcode reading. The same element is needed to monitor small fractures in ships and other vehicles. Reference: yourdictionary.com, study.com, elementalmatter.info, wikipedia.